These options allow you to individual skin settings for footer middle. You can set footer middle font color, link color, etc. Footer Middle Skin: Choose your individual skin setting for footer middle. You can set for footer middle properties like typography, background color, link color options, border, margin option, and padding option. Footer Middle Inner Layout: Choose your footer middle layout boxed or wide. 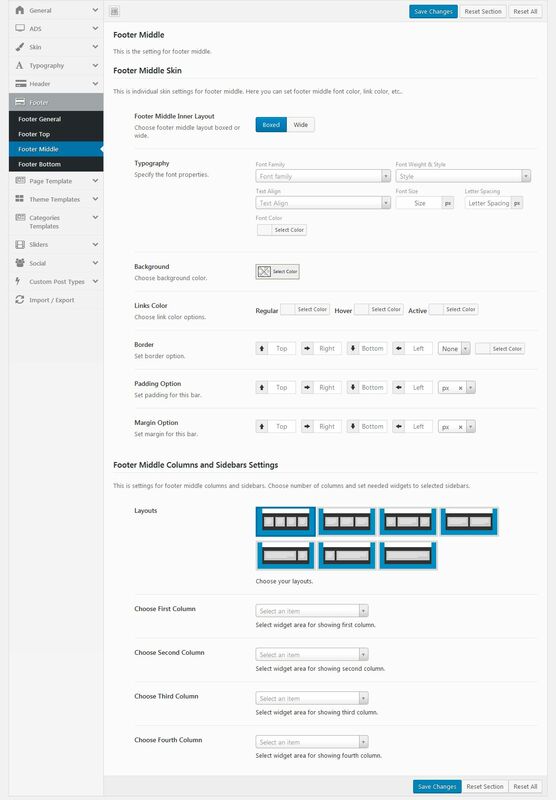 Footer Middle Columns and Sidebars Settings: Choose your footer middle columns and sidebars. Choose number of columns and set needed widgets to selected sidebars.